If you’re a fan of both NetEnt slots and the convenience that is gaming on the go, NetEnt Touch slots has got to be one of your most favourite things in the whole wide world. However, even if you’ve never played NetEnt casino games on your mobile devices, today you’re going to learn everything there is to know about NetEnt Touch and, who knows, you might end up giving the slots a spin on your tablets or smartphones! The NetEnt Touch story began five years ago. Up until that moment it was all online casinos all the time, but in the year 2011 something magical happened – NetEnt Touch came into being. The first ever mobile slot created by NetEnt was the now well-k­now­n Go­nzo’s Quest slot and from then on, the Swedish software giant had no intentions of ever ceasing to improve their Touch slots. While the first NetEnt Touch slots only worked on iOS devices, soon followed versions for Android. Today, they’re available on most all advanced portable devices. Each new NetEnt Touch slot was sleeker than the last and today the graphics of NetEnt’s mobile slots are just as flawless as their desktop versions. The slots are compact, incredibly easy to use on touch-screen phones and not lacking in any important features, such as crisp graphics, clear sound or vibrant symbols. The payout percentages are the same, too. Phew! NetEnt Touch mobile slots work just as seamlessly as the online slots with the same name. However, they come with a special advantage compared to regular NetEnt video slots – they’re available on the go! Basically, what you need in order to try out a NetEnt Touch slot for free is a mobile device, such as an Android phone or iPhone, a tablet or an iPad and a list of mobile casinos powered by NetEnt. The rest will be, as they say, history! Know what else is great? 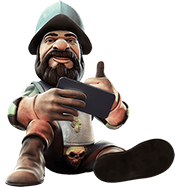 You can now find NetEnt bonuses that you can use for mobile gaming all over the iGaming universe, too! Once upon a time this was hardly imaginable, but today you can snag anything from welcome bonuses and match deposit bonuses to an incredible amount of Free Spins – daily! See? Mobile gaming lacks virtually nothing. 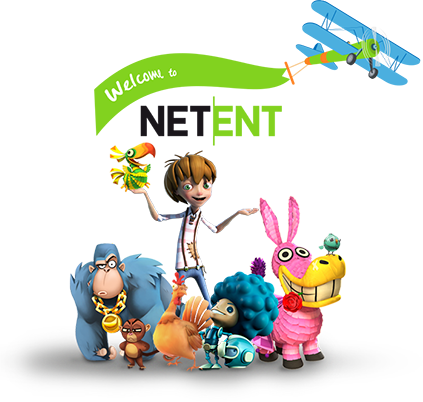 Ready for your very own NetEnt Touch adventure, but you’re not sure where to start? Well, it’ll be our pleasure to give you a few suggestions. We present to you some of the most popular NetEnt Touch slots at mobile casinos and all you need to do is find your own favourites!